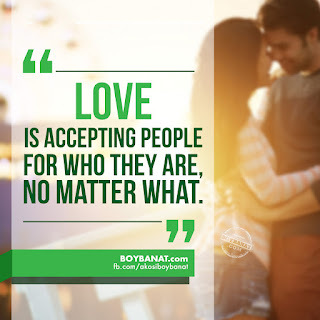 Love can be defined in so many ways and it's not just about getting butterflies in your stomach. Well, it can also be a funny thing like watching a romantic comedy movie on a Saturday night that's bound to make you cry and laugh. How many of us wish that falling in love has traffic lights so that they would know if it's good to go, slow down or just stop? They might be stuck in traffic though. Have you heard that love is a form of amnesia which is common to girls? Yes, it can make you forget that there are other people in this world and not just you and him. So when he breaks up with you for no valid reason then move on because probably there's another guy out there waiting for you to be single again. Well, some relationships are like fat people, they don't work out. But don't worry as one day, there will be that someone you will meet along the way and make you realize why things didn't work out with anyone else. To be in love is merely to be in a state of perpetual anesthesia.. In the morning I can't eat because I'm thinking of you. In the evening I can't eat because I'm thinking of you. In the night I can't sleep because I'm so hungry! What? 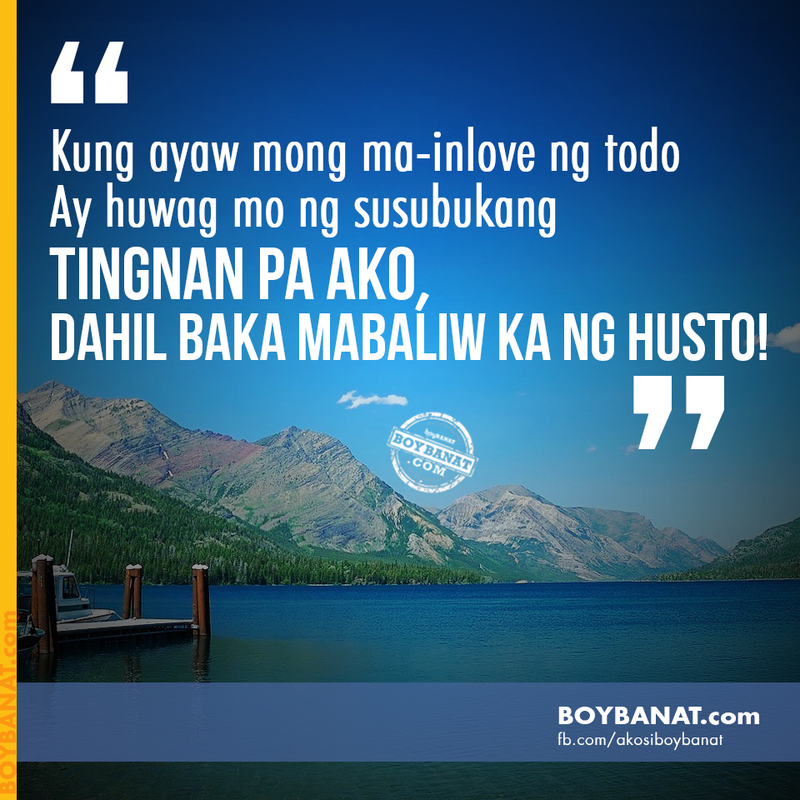 Maybe this is one of the funniest analogies that we have heard about love. It's really hard to hide your feelings because the more you do, the more they show. And the more you deny your long kept feelings, the more they grow. No matter how hard you try to ignore it or deny the love that you have for a person it will persists until you cannot contain it anymore. after her husband has walked across it in his barn boots. and transfer as much properties as you can to your name. That level of confidence is awesome! Guess what, this could be a perfect line to catch someone's attention and that person won't dare to look at you anymore. You're rated #Assuming101. I’ve had bad luck with both my wives. The first one left me and the second one didn’t. SLOW DOWN, or just STOP! I’ve learned that you cannot make someone love you. All you can do is stalk them and hope they panic and give in. We all want a love that’s filled with laughter and joys, right? Do your best to draw everlasting smiles on your special someone’s face and find the good reason to make her laugh. Hope that this post got your sense of humor. 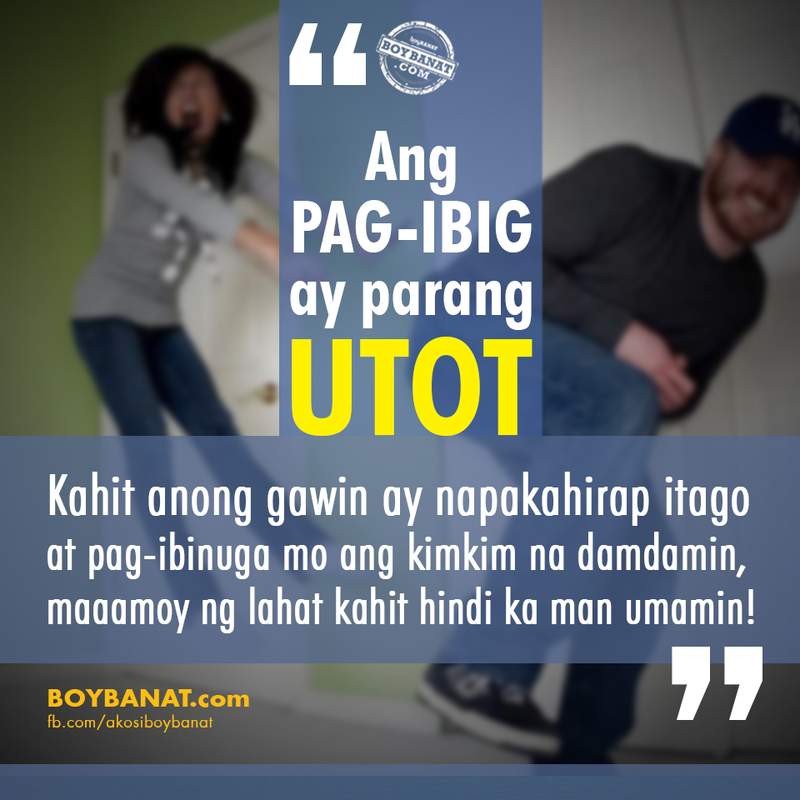 If you more funny love quotes or even a "Tagalog" Funny Love Quotes, feel free to share them with us. 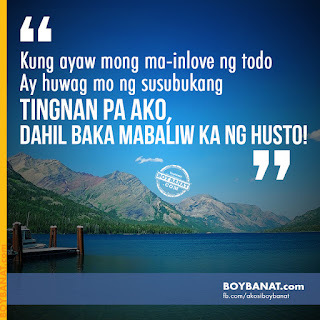 Keep on reading here at www.boybanat.com and fb.com/akosiboybanat as we have more features that you can relate to.